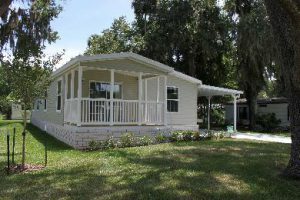 One of the bigger challenges of purchasing a manufactured home is getting lending. Now, potential home buyers can rest a little easier. Wells Fargo, a national bank, is now going to offer manufactured home lending. Recently Wells Fargo hired two experienced manufactured housing executives to help expand into the industry, Matt Krasinski and Lew Grace of GE Capiutal Real Estate. Krasinski worked as the associate director for North American lending, responsible for originating loans for manufactured homes and RVs. Grace was the head of manufactured home communities lending and investments. It’s exciting to see positive opportunities in the manufactured housing industry. At Newby Management, we are excited to offer new 2015 homes in many of our communities. Making lending easier for residents will give more people the opportunity to purchase brand new homes. Get personal help from our sales lead management Deborah Gosser at sales@NewbyRealty.com and speak to our expert in the field. She can help you find the perfect home in one of our amazing communities.